Middle-earth: Shadow of Mordor was an unexpected surprise and a much-lauded game, even earning our Game of the Year award in 2014. Taking familiar open-world elements, it added the Nemesis system, which made each and every enemy, every death, and every AI interaction feel deep and meaningful. Orcs remember Talion. Their looks change after prolonged battles with them, maybe a scare where one was cut, or burns where another was hit with a flaming arrow. As the orcs defeated Talion, their rank grew within the orc hierarchy, so often you would find some little grunt that had once gotten that final blow on you ended up being a Warchief after not too long. Shadow of War is the next game in the series and once again takes amazing strides in moving the Nemesis system forward. Instead of just trying to recruit allies to his cause and undermine the hierarchy, Talion is looking to create an army and take back Mordor from Sauron and forces of evil. One of the fascinating parts of this story is that it is all within Tolkien’s canon, so we ultimately know the outcome of Talion’s mission. He’s going to fail and Sauron retains control of Mordor. Knowing Monolith though, they aren’t content to tell a known story, so there will likely be some exciting twists, turns, and secrets for fans to delve into. The real treat is the gameplay. Warner Brothers gave us the opportunity to play a large section of the game at E3, taking on a couple of story missions, roaming the open world, playing around with the new layers of the Nemesis system, and ultimately preparing an army to assault a fortress. The key element that Shadow of War adds is depth, rather than expansion. Sure, this will be a much larger game that Shadow of Mordor, but instead of focusing on adding bullet points and features, it takes familiar systems and intensifies them. Tribes play a large role now, enhancing the reactive enemy AI as you gain allies of your own and assign them to fortresses. Talion now creates his own special orc hierarchy that he can use to infiltrate the other orc armies, with a variety of special missions that come up based on the tactics you use for taking down the other Warchiefs and fortresses. We reported earlier that these missions will not be repeatable, and my hands on showed that it’s not because they are story missions, but because this is an evolving and ever-changing world. The results of any mission will move the world forward, whether that be by failure or success. The results of any mission will move the world forward, whether that be by failure or success. Fail a mission to help your orc allies infiltrate an enemy camp and you’ll have to find another way. If you lose your army, you’ll have to gather new ones. 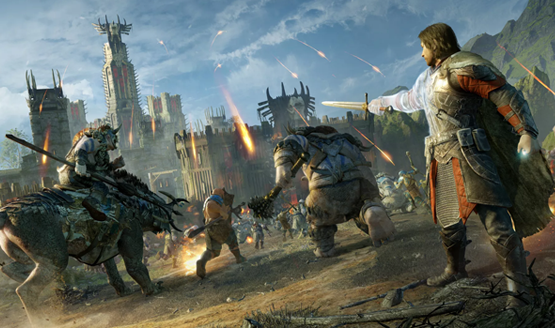 While there will definitely be an overall narrative that weaves its way through the game, Middle-earth: Shadow of War’s real story is the one that each player will have for themselves as the power struggle between Talion’s orcs and the forces of Mordor escalates and drives forward. Getting to the pièce de résistance, I entered the fortress assault. This is so much more than targeting a Warchief, which could already be quite difficult in the first game. 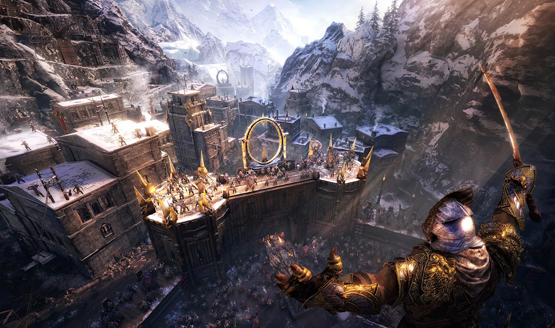 Shadow of War pits two orc armies against each other, capturing points in a massive battle that is like living out the huge fights from the Lord of the Rings movies. Helm’s Deep, Gondor, the Fields of Pellenor. All of these incredible set pieces came to life in that moment as I sent my orc army charging in and began running alongside them, firing off ethereal arrows and lopping off orc heads. Arriving at the end sent me into a massive battle against the fortress leader, a tough fight that I rapidly lost after getting overwhelmed with his reinforcements. Despite my loss, I had a lot of fun with Shadow of War. Part of the engaging gameplay is in dealing with failure, ducking and weaving as the world changes, your enemies growing stronger, that growing feeling of vengeful rage as you watch a simple orc become the one that just won’t leave you alone. 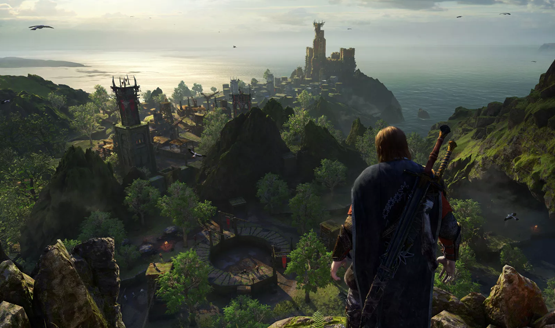 Middle-earth: Shadow of War seems to take on everything that made Shadow of Mordor our game of the year in 2014 and crank it up to levels that could very easily make it another game of the year contender in 2017. Middle-earth: Shadow of War releases on October 10th, 2017 for PS4, Xbox One, and PC. Check out all of our E3 2017 coverage.